Durability is always a concern when it comes to outdoor items that are exposed to the everyday elements. That’s why over the years, I’ve pretty much replaced all of our outdoor planters with all-weather (resin) wicker planters. 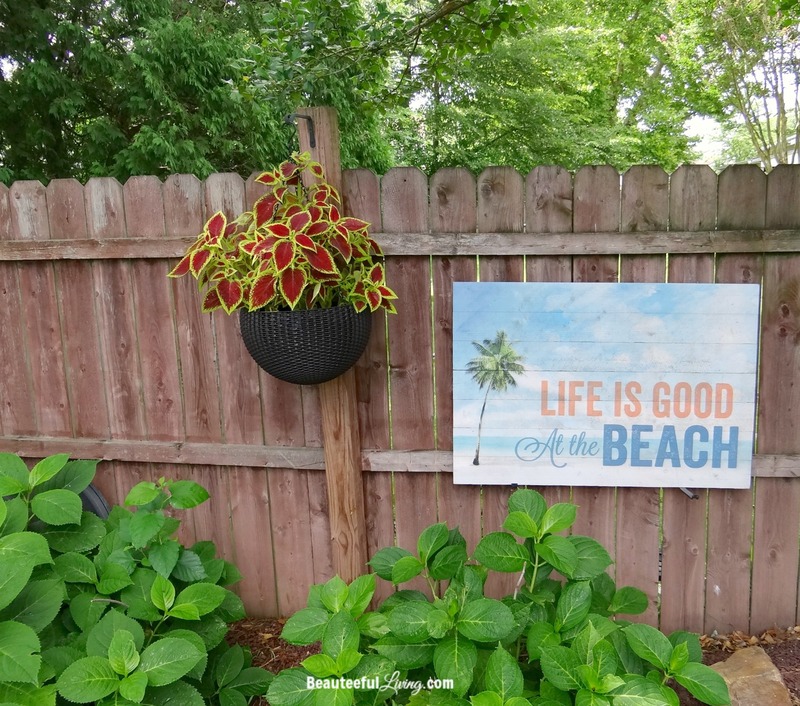 On the blog today, I wanted to share some recent photos taken of our backyard and how I’m making good use of my newest all-weather planters! Today’s post is sponsored by Keter. 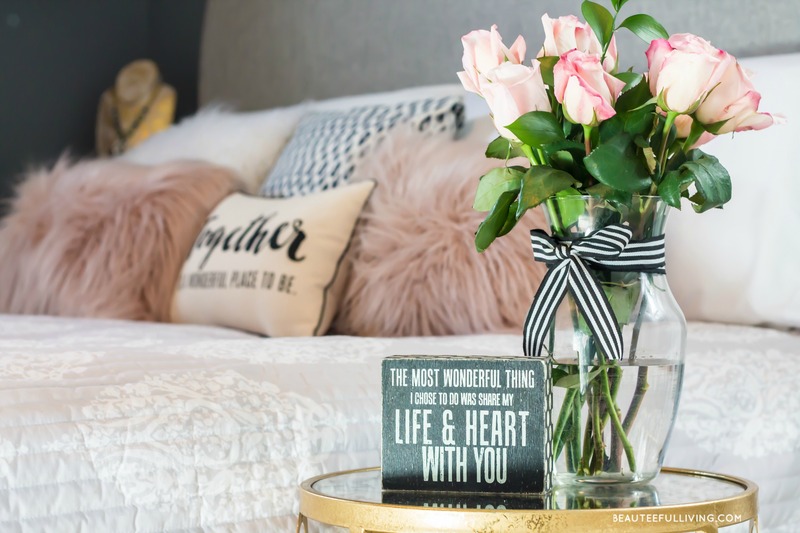 Thank you for supporting brands that make Beauteeful Living possible. Affiliate links are also provided in post. See disclosure here. Below is a photo of a section in our side yard that gets the most shade. Our hanging coleus plant loves the shade as much as the hydrangea bushes directly below it. How pretty does this coleus plant look in our new hanging planter by Keter? The gorgeous variegated foliage pops against the espresso-colored hanging planter . This planter comes in a set! Since these pots are made out of polypropylene resin, they won’t fade, peel, dent, unravel or rust. This is where I have the other hanging planter. I love how this planter has a drainage plug and sealed inner bowl. 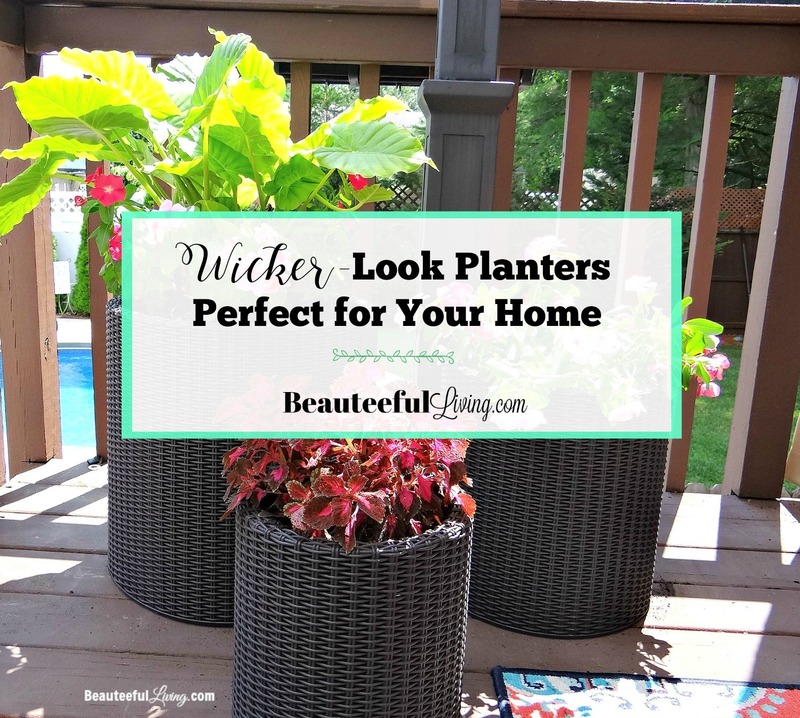 You can place the planter outdoors or indoors. 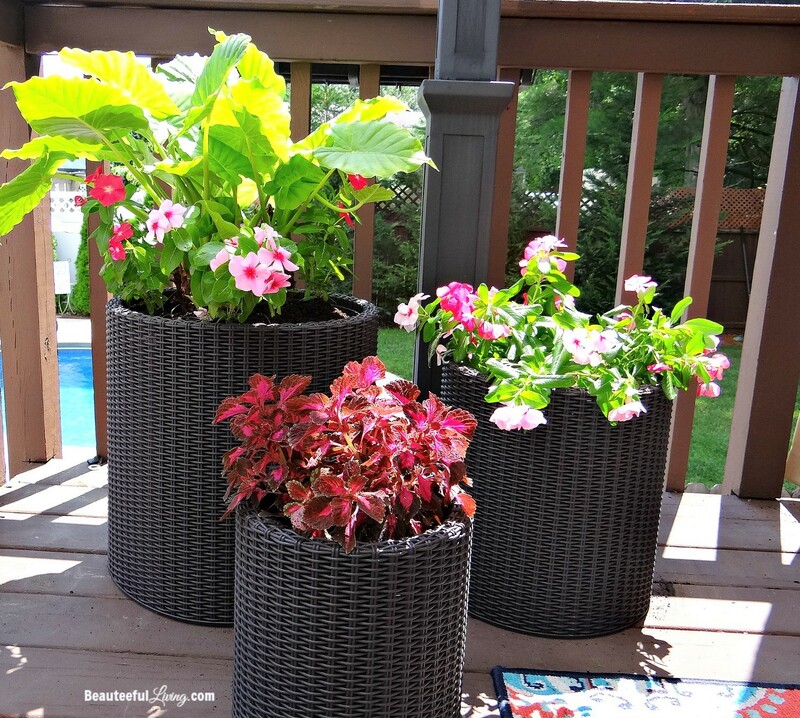 Another set that I’m really impressed with by Keter is this trio of cylinder shaped planters . Made of the same polypropylene resin materials as the hanging planters, you can expect these planters to be extremely durable. 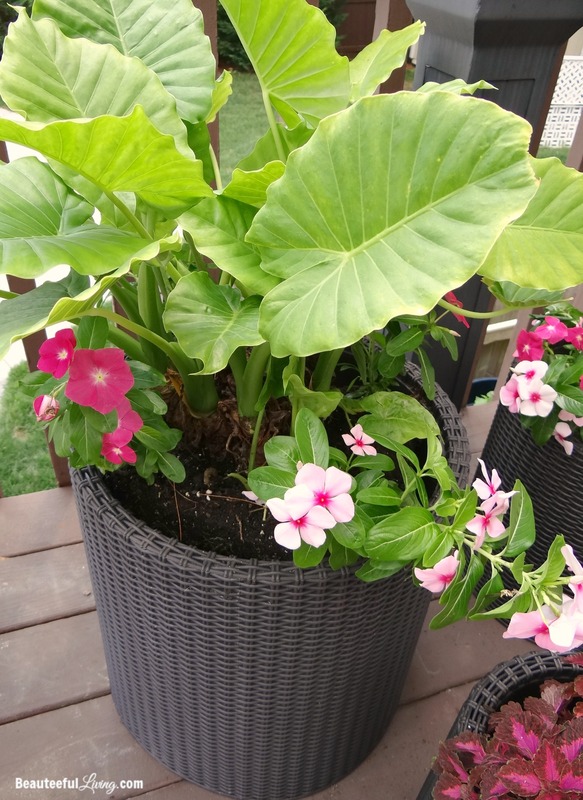 Our alocasia plant (also known as elephant ears) fits perfectly into the largest cylinder planter out of the whole set. 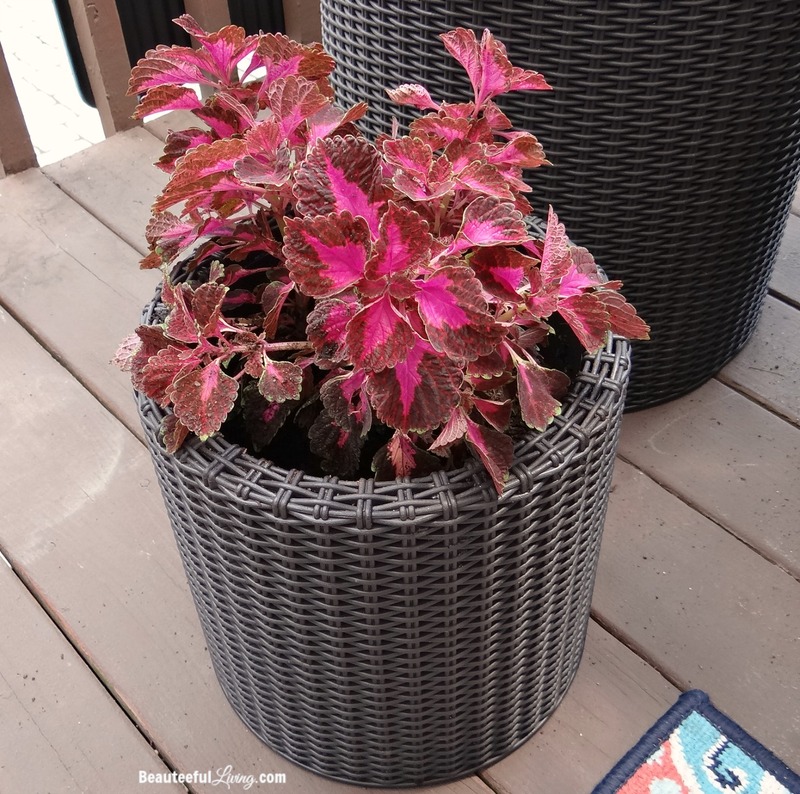 In the smallest of the three planters, I placed a small coleus plant that I had purchased earlier in the season. The purple-hue leaves look gorgeous against the dark espresso color of the planter. My love of the wicker-look extends onto our outdoor furniture as well! 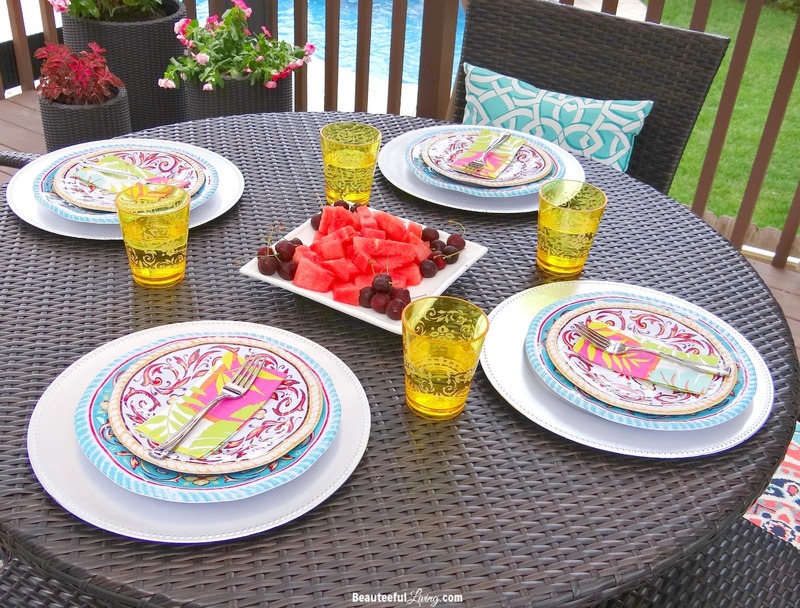 You may recall the patio dining set that I purchased last spring. We’ve had this set for over a year already (kept it outdoors uncovered throughout winter) and it still looks brand new! Here’s one more look at our patio dining area, overlooking our pool. Can the rest of our summer days go very slowly? I really don’t want this season to end. By the way, we’re off to our family vacation starting next week. We will be in a tropical island in the Caribbean for almost 2 weeks! You can keep up with Beauteeful Living on Instagram and Facebook for upcoming news on where exactly we’re headed in the Caribbean! Until next time, enjoy the rest of your summer, lovely readers! Thanks, Susan! 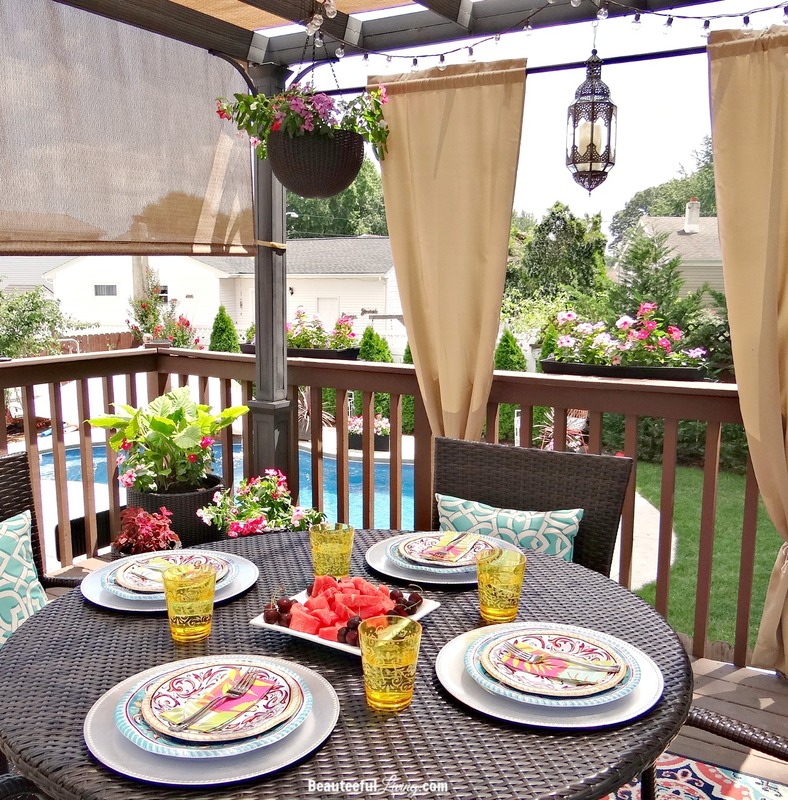 You’ll have fun styling around your pergola when you get it next season. I love how those plants look in the planters. 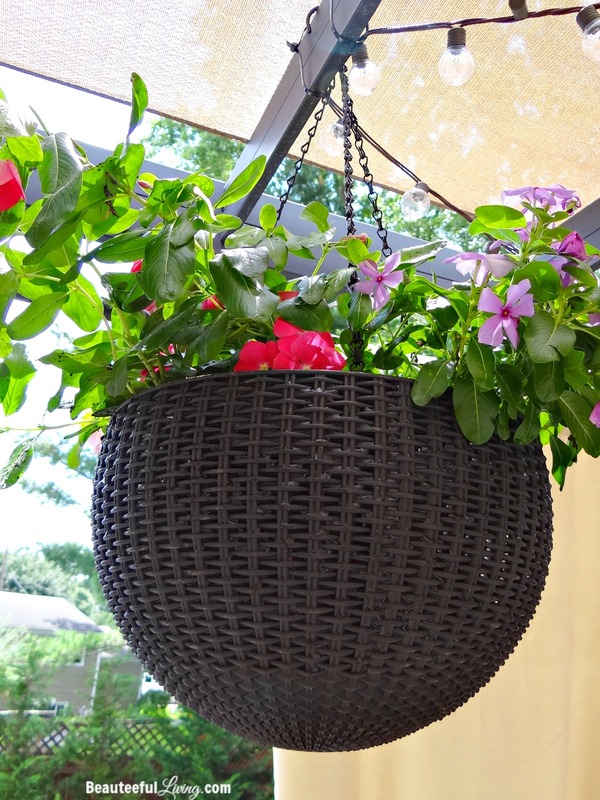 I normally only use flowers in hanging planters but those leaves look nice too. 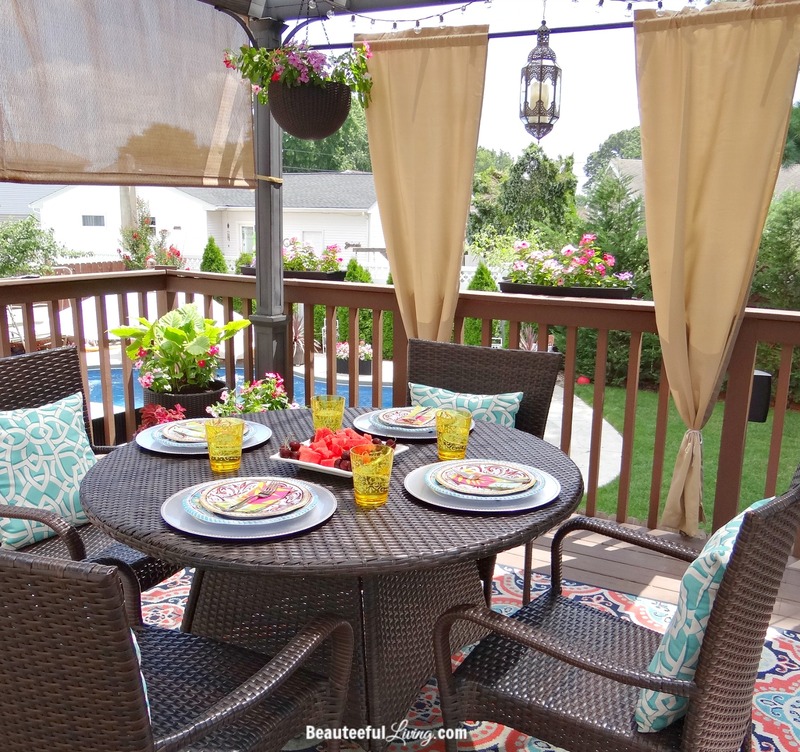 The round planters look great on the deck, by the way! Thanks so much, Stacy! I get those coleus plants every spring and they usually last through the end of fall. 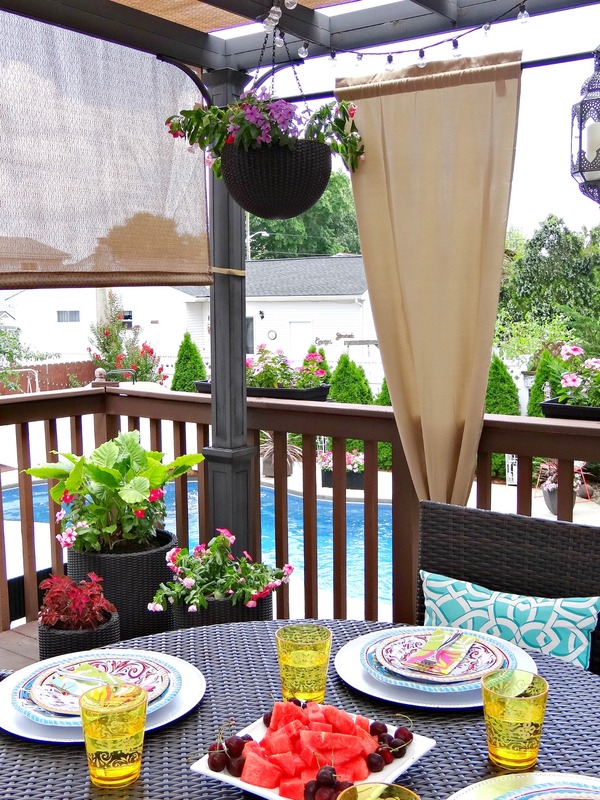 We are loving those round planters and hanging planters. Thanks for your comment! Thanks, Jason! Enjoy your week!